The Walthers website says that Rheneas is available March 1st! That means bachmann should have a photo of Rheneas soon. Right? Walthers has proven to be an unreliable site. Just look that Oliver page. 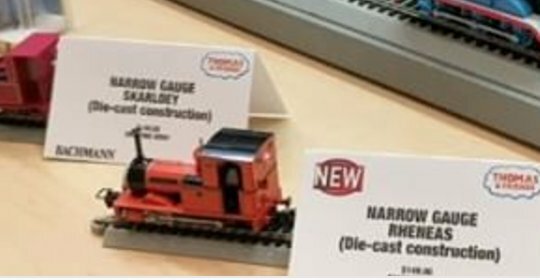 I wouldn't trust Walthers, besides The NY Toy show is starting soon, on the 18th I believe, and Bachmann usually releases new updates there. Because we all know how reliable Walthers is. We would have had a image of the model by now. I've heard the 31st being bandied about as the release date, perhaps from Trainworld or Bachmann themselves. Hoping that's the last of any delays we get for our gallant little engine. 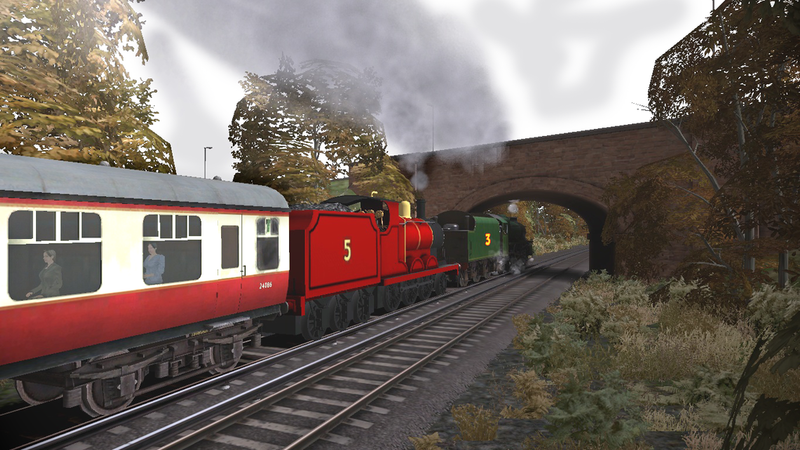 I wouldn't be too much in a panic to not see Bachmann Rheneas. We should see a picture of the Bachmann Rheneas here at the very end of this month when the catalogs for this year come out. Yes. He'll come when he comes. Models don't really have solid "release dates" per-say. Bachmann Rheneas, in the flesh. Hopefully we'll get a better angle. Wish I could see them from the front, but already he looks incredible! I'm glad I already have them on preorder. Looks fine to me, keep in mind it could be an incomplete model on display. Let's talk about what that picture DOES show. We can see that there is an open cab and maybe even cab detail if you look close enough. It also would appear that all the body proportions are correct as well as the livery. Lovely model! Well done Bachmann! Hope you'll do just as well with Rusty and Paxton. I have a feeling we'll get Rheneas's picture soon...at least I hope so. The pictures from this year's Toy Fair were, frankly, atrocious. We need a Thomas fan there every year to get us some HQ pics of the new stuff!! Frankly I'm surprised Thomas fans based in the US don't flock over there.